Dr. Jesse B. Register is Distinguished Professor in Educational Leadership and Director of the Belmont Center for Improvement of Educational Systems. He received his B.A. from the University of North Carolina at Charlotte in English, his M.Ed. from the University of North Carolina at Charlotte in Educational Administration, a Certificate of Advanced Study in Education from the University of North Carolina at Chapel Hill, and his Ed.D. from Duke University. Dr. Register served in leadership roles in public education in North Carolina and since 1996 in Tennessee. He was a public school teacher, principal and assistant superintendent prior to becoming a superintendent in 1989. 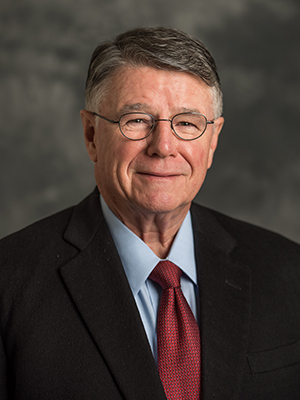 He was superintendent of four different school districts in North Carolina and Tennessee until he retired as superintendent of Metro Nashville Public Schools in July 2015. Dr. Register is well known for his leadership in urban education initiatives and for his work in desegregation and district consolidation, having led in the planning and merger of three school systems.